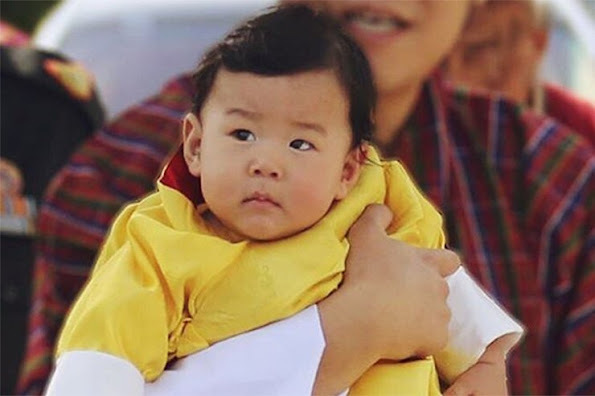 Crown Prince (The Gyalsey) Jigme Namgyel Wangchuck of Bhutan visited Bhutan, Bumthang region (Beautiful Girls Valley) together with his father King Jigme Khesar Namgyel Wangchuck and his mother Queen Jetsun Pema. 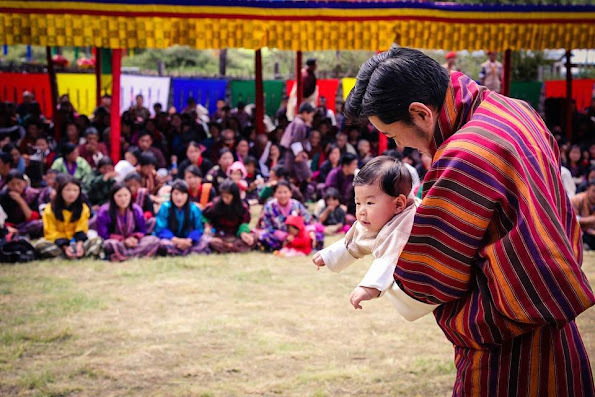 Their Majesties met the people of Chamkhar, gathered in thousands to meet their King, Queen, and Prince. 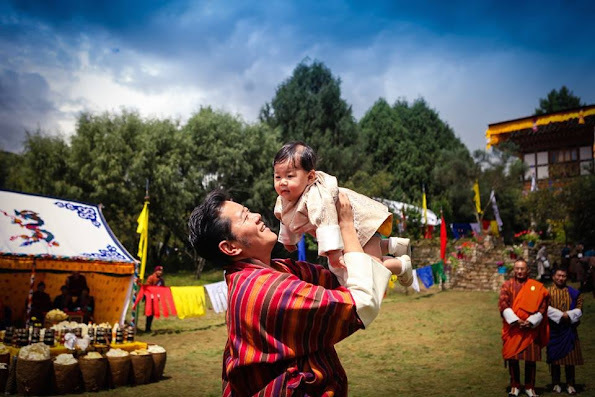 Bumthang is the ancestral maternal home of Her Majesty The Gyaltsuen. What a toddler he is! Babys grow so very fast. Love how proud his parents are! very nice, much love for the baby. one killer look, he'll grow up to be a stunner. Such a gorgeous family, and by the looks of it, Crown Prince (The Gyalsey) looks like an old soul.. He has such a knowing look about him, looks he know his destiny!